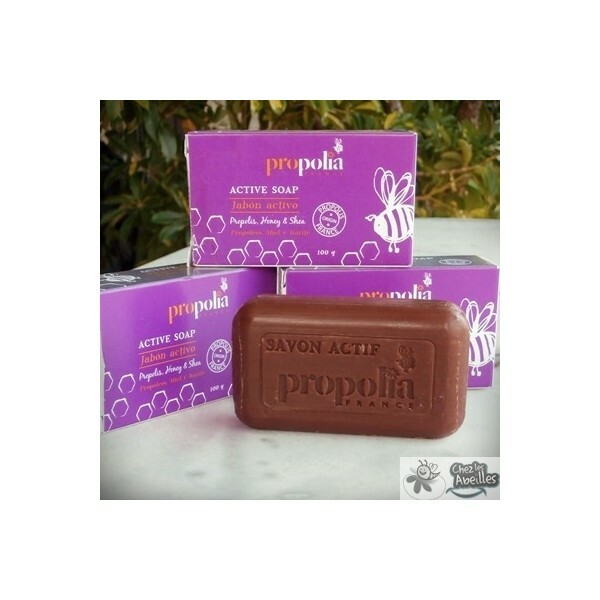 Specially formulated for problem skin, eczema, herpes and acne, our new Propolis Soap, smells great while it protects. Ideal for face, body and intimate hygiene, it purifies and freshens and contains no preservatives. This active therapeutical soap is specially formulated for problem skin, such as eczema, herpes, and acne. 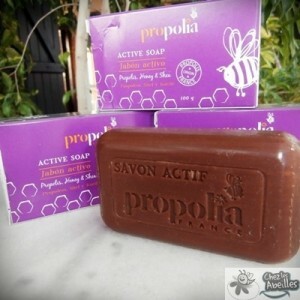 It purifies and freshens with a delicate blend of honey and essential oils. 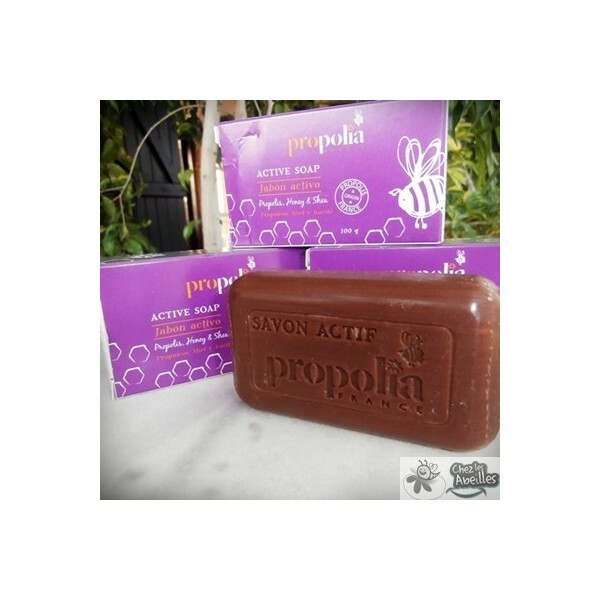 Known for its inhibiting activity on Trichomonas Vaginalis, Propolis and its antifungal, antibacterial antiviral properties make this an ideal soap for intimate hygiene. Pure vegetal Palm and Coprah oils, Propolis Extracts (2,5%), Honey (2%), Beeswax, Lavender and Rosemary Essential Oils, Shea Butter. 2012-01-30 Céline .... J'aime beaucoup ce savon !! je l'utilise pour laver mon fils qui a de l'exzema, il le tolère très bien !! très bon produit ! !